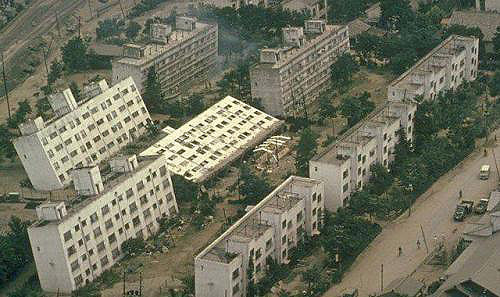 Mindful Design Consulting Newsletter (August 2010) How Safe Are Our Buildings in Earthquakes? This is our August 2010 design newsletter. Today I’d like to talk about earthquakes and how safe our buildings really are. If you are one of the people who were screaming during the last big shake this summer, read on! I hope you will feel a bit safer during the next one. Also, you can post your reply to this newsletter on my new Blog. In our Green News corner, I’d like to share a glimpse of the largest in history Solar EXPO happening in Shanghai this year. I will be visiting this EXPO this month and will share my findings from the solar world in the next newsletter. Stay tuned! Growing up in Uzbekistan and experiencing frequent earthquakes inside of a precast concrete panel building was quite a frightening experience. The sound of grinded rebar connecting concrete could wake you up in the middle of the night at any time. But when architecture became my life, I started realizing how very safe residential buildings can be, well at least in California. When another earthquake hit San Diego last month, it was an unforgettable experience. It was not just because some members of my family were helplessly screaming in horror and dropping to the floor. What was more shocking to me was my calm reaction and my absence of fear. What was I doing at that moment? I was staring at the buildings in front of my windows as they (the buildings) were going in wave-like motions, like the Pacific Ocean itself. It was mesmerizing and fascinating to me! The structure was doing exactly what we were schematically drawing in our structure classes calculating the forces and the sizes of the members! The building was bouncing and moving like a spring keeping us safe inside. How Do We Design For Earthquakes? So what happens when an earthquake hits our buildings, and how do we (people in the construction industry) design buildings for seismic events? I hope after reading this newsletter you will feel a bit safer inside your home. Well, at least inside the newer homes that are designed using the latest building codes which are constantly updated after large earthquakes hit the US. 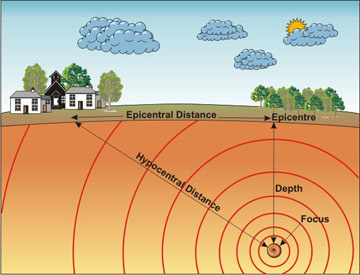 There are several factors on how much damage your building can expect in a larger earthquake: proximity to the earthquake fault line, the type of soil your house is built on (available as a geotechnical report for your land before your house was built, the softer the soil, the more damage can be expected), the quality of construction (avoid cheap, inexperienced home builders) and of course the structure itself. 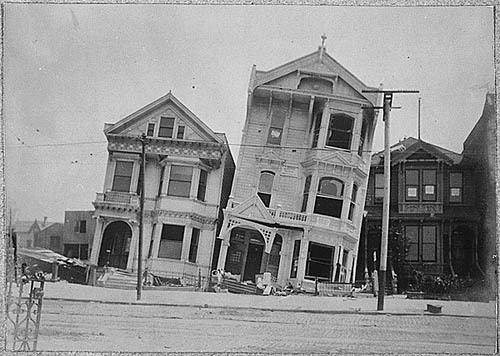 When an earthquake strikes, deep and sandy soils can turn to liquid by a process known as liquefaction, with disastrous consequences for the buildings above. I will not go into all the details above, but will mention what goes into designing your building’s structure. Structural engineers calculate all the expected loads on your building structure with precision. 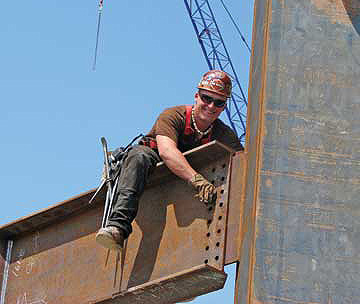 The sizes of each structural member have to be calculated and spaced at the right distance. Every member connection and every bolt has a designation, particular strength and is used according to a different condition per design. Each building, when in design, is looked at from different perspectives applying different types of loads expected and unexpected (but possible). An earthquake is one of these loads. From what I understand, buildings in California in general are designed for 8.0 magnitude earthquakes, which is a rare occasion here. The strongest magnitude earthquake registered in San Diego was below 7. Besides, our structures are typically over-designed, which means even if a magnitude 8.0 earthquake hits your building it should be fine. Only if other factors mentioned above come into play, may your building collapse. I hope knowing all this will make you feel a bit safer from now on during our frequent shakes in San Diego. • If you see your ceiling is collapsing, run to the opposite side of the room so the structural members (if they should fall down) create a triangle over you. • One of the safest places is to the side of your bed. Don’t go under it, it maybe hard to get out later and the bed’s legs may not be strong enough to withstand the weight above it. • Don’t use elevators to go down; you may get stuck if the electricity gets cut off. • Keep all your documents handy in case of fast evacuation. • Make up a meeting place with your family in case you get separated and the phones don’t work. Read more on expected earthquakes on California HERE. Lasting from May 1st to Oct 31st 2010, the Shanghai World Expo will be the biggest event in its history, with 192 countries and 50 International organizations having confirmed participation. 70 million visitors are expected from both inland and abroad to attend this world event. 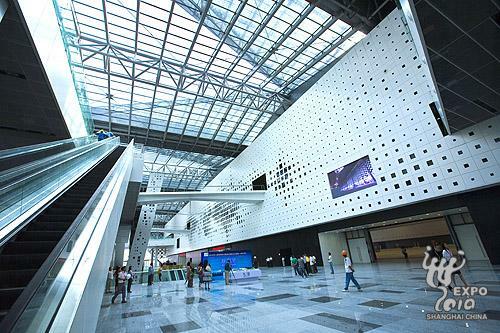 More than 20,000 cultural shows will be held during the Expo. Themed "Better City, Better Life", the 2010 World Expo Shanghai conveys a common wish of mankind for a better future and better city life. Read more HERE. Ready for architectural changes to your property? Contact us HERE!